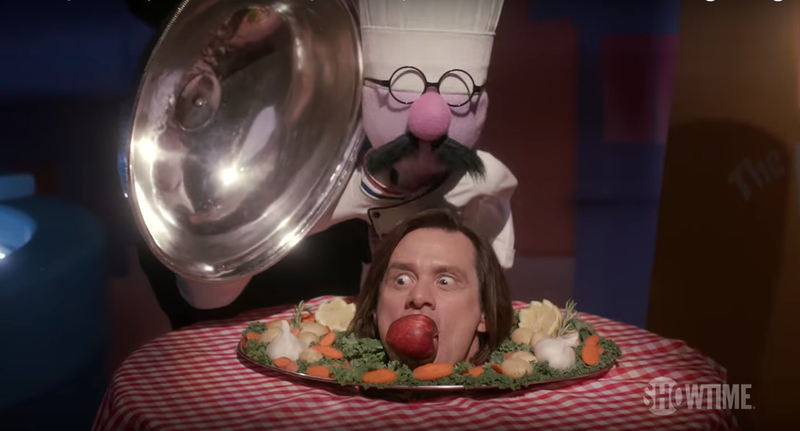 See Swazzle's custom puppet creations in the new Showtime series Kidding starring Jim Carrey, Catherine Keener, Frank Langella and Judy Greer. the show was created by Dave Holstein with episodes directed by Michel Gondry. Interactive puppet show for the entire family! It's the Year of the Bird, and environmental superhero Ricky Raccoon is on a quest to rid the environment of microtrash before the festivities begin. On his adventure, Ricky Raccoon helps animals in need, like Katy Coyote, Conrad the California Condor and Monty the Southern Mountain Yellow-Legged Frog. 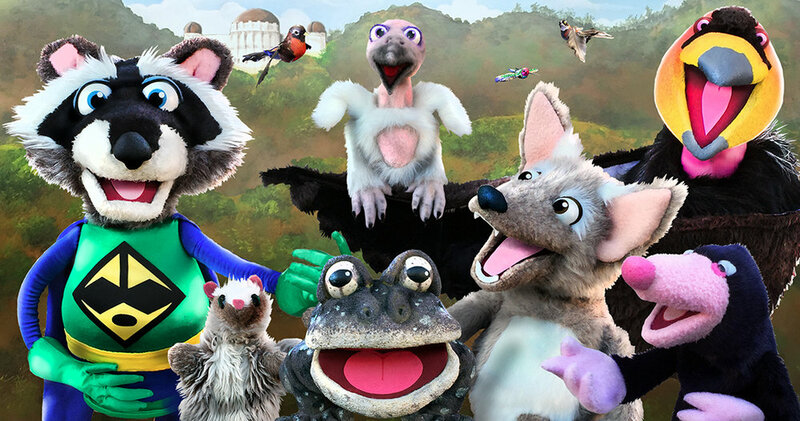 Audience members — a.k.a., the Green Rangers — will laugh and learn as this interactive puppet show demonstrates ways they can help endangered species and the environment. Puppet show free with admission to the Los Angeles Zoo. "Little Big Awesome follows Gluko and Lennon, the two best friends ever of all time in the history of everything. While having weird and wonderful adventures around Townopolis, these besties help the citizens live their best lives, even if helping sometimes causes more problems than it solves." Swazzle built custom puppets, costumes, props and sets for this whimsical, Emmy winning animated series.